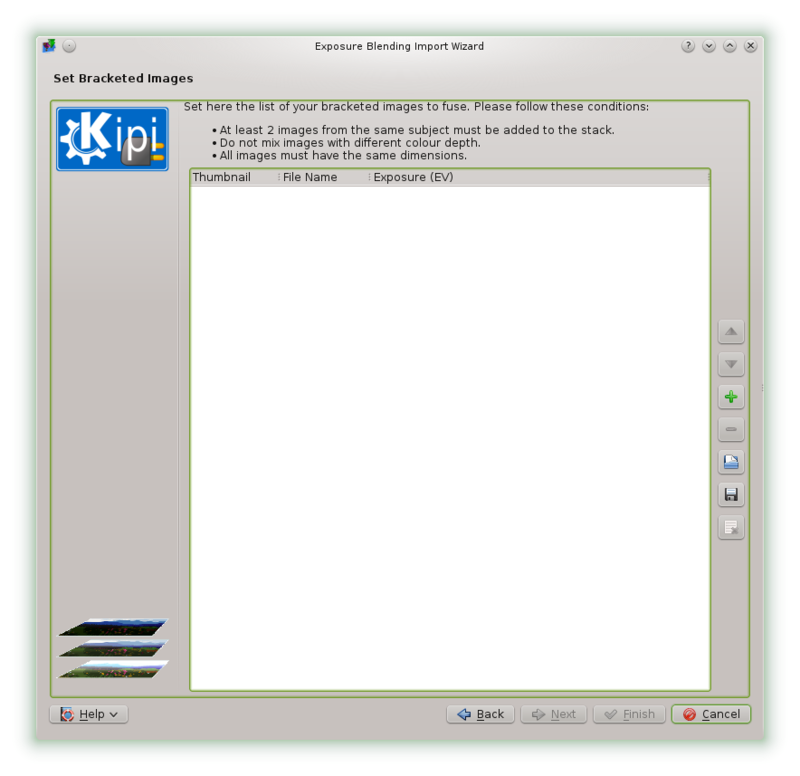 In my last openSUSE based article I took a look at the KDE games that are installed by default. I was slightly surprised that so many people still played card games such as Patience and Mahjongg. The point of these articles is to elaborate a bit more on the software that is pre-packaged within openSUSE. Quite often I write reviews listing the applications but without knowing how good the software is or even what the software does. This time I will be looking at the graphics applications. I have two confessions to make at this stage. The first is that I am to art what Corey Feldman is to music. The second confession will become all too obvious as we continue. I am not going to be spending long reviewing DNG Image Converter because to be honest I can’t get it to do anything. In theory clicking on the plus (+) icon allows you to pick an image file and then you can press the convert button to convert the image into another format. Pressing the plus button shows an open file dialog. When I select any of the image file types allowed nothing happens. I am afraid this review is going to start off a bit flat. DNG Image Converter doesn’t work and I have absolutely no idea what the point of the Exposure Blending tool is for. The text on the screen says that it fuses bracketed images with different exposures to make pseudo HDR image. There is also a link to a Wikipedia page which defines the bracketing process. Unfortunately I know very little about photography and I really only ever use a point and click camera. It really is a case of going back to photography school for me on this one. What I can say about the tool is that before I can even continue I need to download the “hugin” plugin. Clicking the download link takes me to this page. I couldn’t actually find a plugin that was available for install from the site. The plugin can be installed from Yast though. In theory and it has to be theory because I couldn’t get it to do anything (but please note this is my fault and not the tool’s fault) is that you press the plus (+) icon and select two images. It says the two images have to be from the same stack. I assume to photography experts this means something. Upon selecting two images from the same stack you press next and it does the bracketing thing that it is supposed to do. For a good tutorial and guide about how the exposure blending tool works visit this link. I would like to say that this review is now going to get better but it isn’t. The next graphics application in the list is Panorama. This application just crashes when I try and open it. 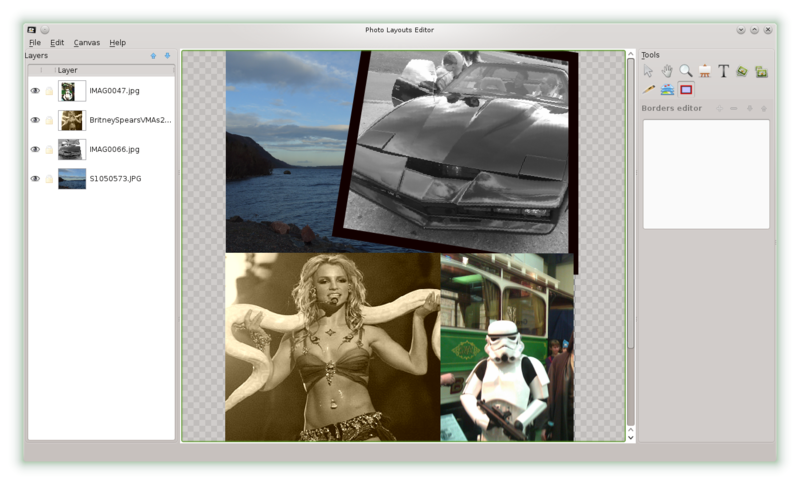 The KIPI Photo Layouts Editor is a rather crude tool for editing and laying out photos. Basically you start off with a canvas which you define the size of and then you add images to the canvas. These are created as layers. Each individual layer can have effects applied, borders applied, be resized and rotated. 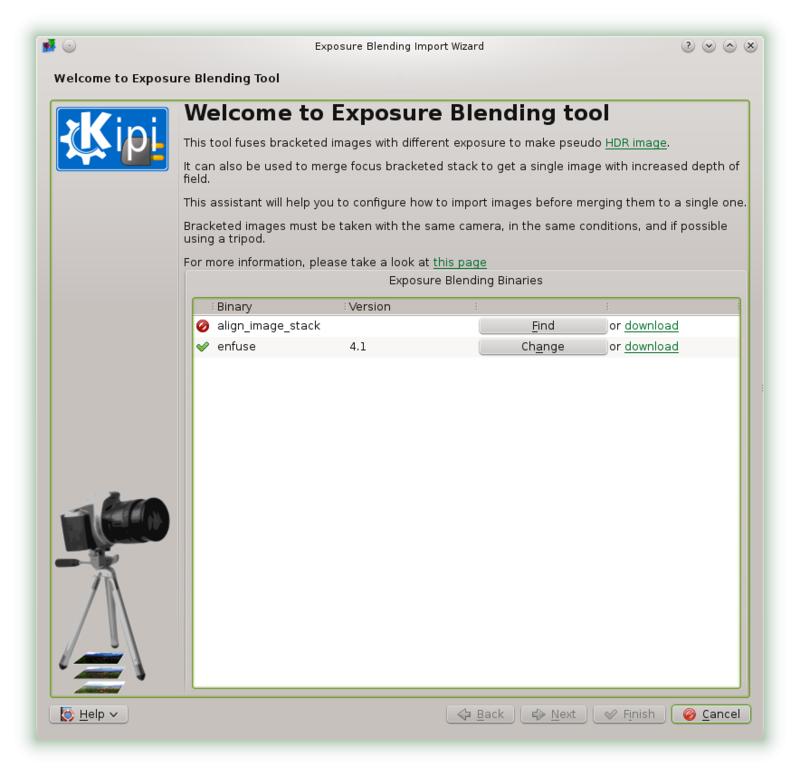 If you are looking for a serious tool then I guess something like GIMP would be a better fit but this tool works for basic editing. In case you are wondering the images in the picture are Loch Ness, a replica of the Knight Rider car, a Storm Trooper at the Grampian Transport Museum and Britney Spears. (Yes I like Britney Spears. Confession number 2). I guess the Grampian Transport Museum take security fairly seriously though, hiring storm troopers. On a more serious note the Photo Layout Editor crashed on more than one occasion, especially when trying to add the Polaroid border with text. 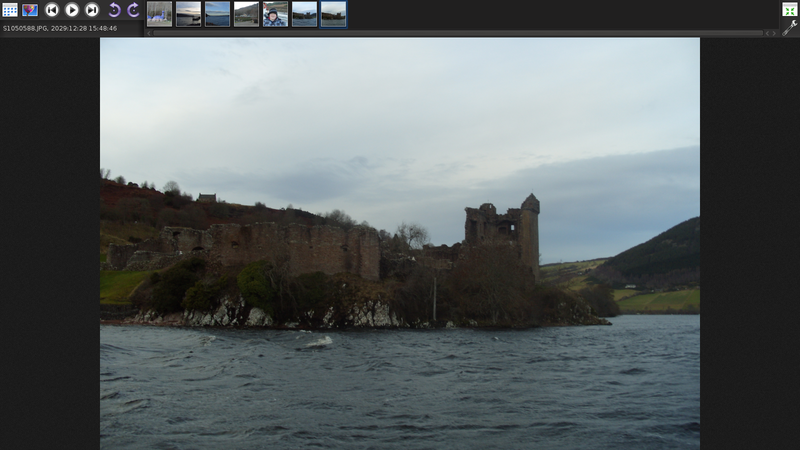 DigiKam lets you organise and edit photos. ShowFoto is used to display the images and enhance them. You can run ShowFoto on its own or it will be opened from within DigiKam when you click on a thumbnail. When you open DigiKam for the first time you have to go through a number of screens to define your settings such as where you store your photos and how to handle thumbnails etc. You can import photos from various sources including digital cameras, web cameras, external USB drives, Facebook, scanners and Picasa. Once imported you can navigate through the albums and open photos for viewing or for editing. There are lots of things you can do to photos such as add borders, text, special effects etc. Out of all the tools I have looked at this is the one I might use as a normal everyday user. It is a good tool for brightening up images, removing red eye and doing stuff to ordinary family photos. Unfortunately it did crash on more than one occasion. 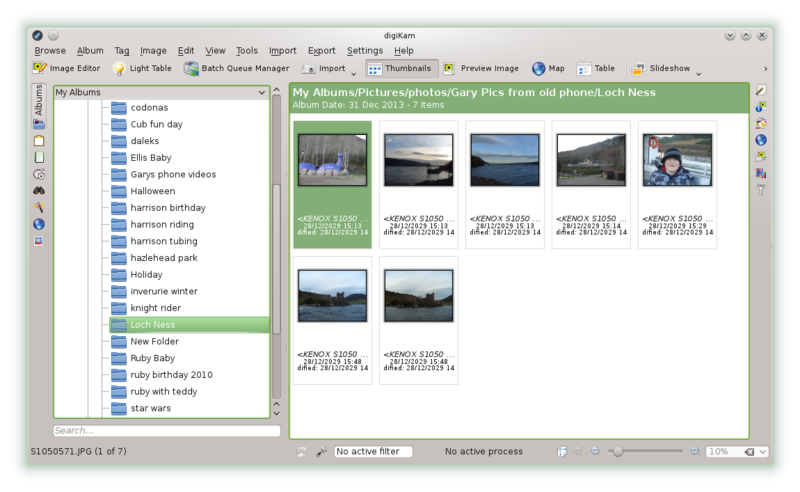 GwenView is an image viewing tool. You can use it to quickly browse through folders of photos or to run a slideshow. Simply navigate to a folder of photos using the file manager and right click. Under the actions will be an option to open with GwenView. 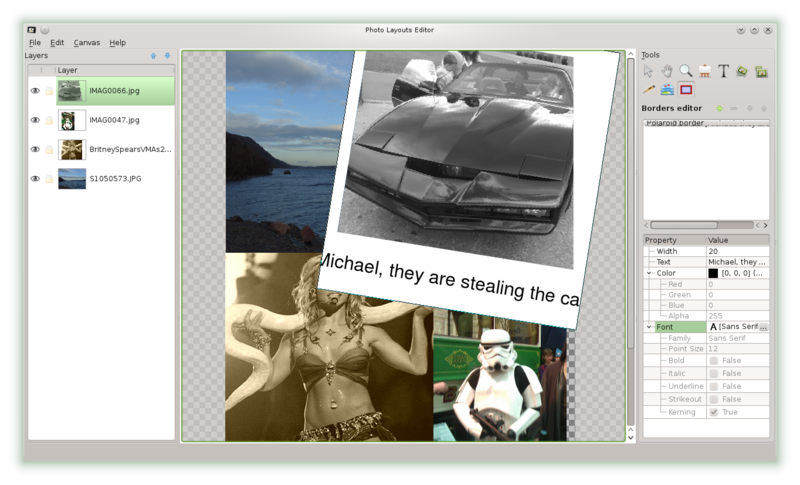 My attempts at using the graphic tools within openSUSE weren’t particularly successful. Some tools just wouldn’t start and those that did had their fair share of crashes. As someone with very little artistic talent (if any), there are some useful tools,most notably DigiKam, ShowFoto and GwenView. The other tools are more for specialists if indeed they can get them working. I would be interested to hear from people who are keen photographers to find out which Linux applications they use and what their experience is of such applications. In the next article in this series I will be back to territory that I am more comfortable with as I will be dealing with the Internet and chat applications. Do you need virus protection on a Chromebook? Gutsy of you to attempt to review things that have admittedly not been areas of strong expertise for you. Of course, actually getting in and trying new things is the first step in gaining additional knowledge and experience. I am not a heavy in any of these tools, but like you, I've started to use a few of them as needs arise, and as the need or the occasion makes a particular tool more important to utilize well, that's when I learn it. Yes it was a tricky call. I am aware this article probably doesn't go down as my finest achievement. I had said when writing the openSUSE review that I was going to attempt to give at least an overview of the applications that come pre-installed. To then backtrack and only do the ones where I am in a comfort zone just didn't feel right. The KDE Games article did better than expected and this one is probably going to bomb (Already has on Reddit). My next one is about internet applications and I am pretty good with those sort of apps so should be able to provide more of an insight. Hehe, that was fun and actually instructive. These days, we can barely have time to look at alternative applications, so your article was a chance to have a glimpse at many of them. As you, I'm not a photo expert but I seem to have read elsewhere Hugin and panorama are tools to assemble a big photo from smaller ones. Hence the need to blend exposures, which means roughly to make darker and lighter match in tone where their borders meet. So that we don't get discouraged, it's interesting to notice we learn more when we know nothing. Knowing too much about something makes it harder to find something really new, because often innovations are not a total departure from what exists. Regarding "stack" would it refer to photos taken in the same occasion (thus having similar characteristics of daylight, sun angle etc.) ? Overall I found it an enjoyable reading. Thanks. Thanks for the comment. I do quite enjoy trying out applications I have never used before. Last year I published an article about openshot and video editing and on that occasion people were happy with that article. I didn't know anything about openshot or video editing and screencasting before trying the software. It is better to crash and burn then to never try anything and Everyday Linux User is all about me trying things out and trying to pass on what I can (even if that isn't very much). The 'stack' in this context is a set of minimum 2 photographs taken of the exactly the same scene, same time, with the same camera settings except for exposition parameters (shutter time & diaphragm) which must differ. Some cameras can do it automatically by making several photos in a row adjusting exposition parameters automatically (it's called 'bracketing', and it's NOT the same as serial photos), but you can as well make it manually with almost any camera using manual exposition settings or just exposition adjustment – provided that a scene is rather static, of course. The blending as such is meant to fix a kind of a flaw of the cameras: they are far less sensitive than a human eye. Consequently, if you have a scene with extreme contrasts between light and dark parts (like a white sand close to a dark forest or sea or a light street and a gateway in the shadow), the camera may be either set to register correctly the light parts (the street) or the dark parts (the shadowed gateway), while the other part becomes underexposed or overexposed with little or no details. This is when blending becomes handy: you can take a picture of the light street and another picture of the dark gateway to produce a picture of a light street with a dark gateway. HDRs are usually made in the same way, but it's not an HDR-only concept as such. This article left me scratching my head. I moved to Open Suse because of QLANDKARTE GT, which is an outstanding mapping program developed by Oliver Eichler in Germany (on Suse). 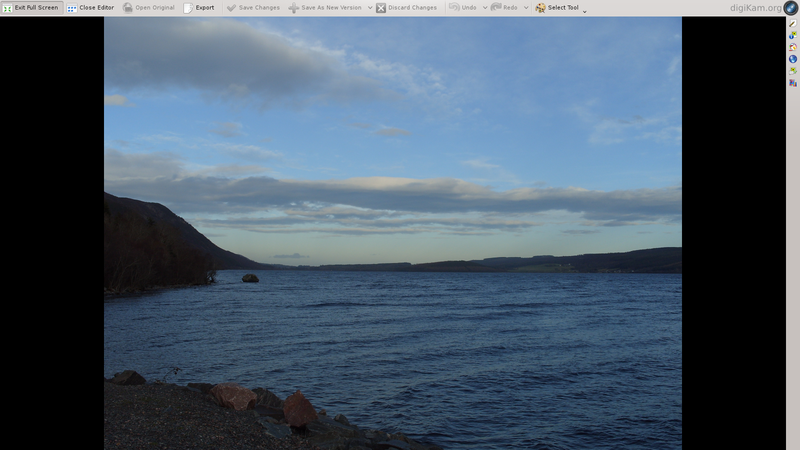 I was a bit put off by KDE and I found Gnome Desktop to be an excellent GUI, but this limited my usability of graphics tools. So, in order to make more sense of the Multimedia available under Linux I tried KDE and the Packman repositories for the"Essentials". Now I think the problem with anything under OpenSuse is the "Open" bit. And I am contemplating moving to the paid-for Suse Linux Enterprise Desktop (SLED). I used to be a Mandriva user and a paid up Silver member of the club, which gave me access twice a year to the PowerPack distribution which included many proprietary applications. Everything worked perfectly "out of the box" every time, but support for Qlandkarte GT, was minimal, so I changed, as I said earlier. Panorama, crashes every time for me, Hugin was easy but I am having a hard time of a recent attempt to stitch a panorama, maybe I should use a tripod next time. FYI I expect that the Exposure Blender is designed to smooth the changing colour of the sky as one moves the camera around. On a sunny day, check out the depth of colour in the sky as you turn around. You will find the deepest blue is at 90 degrees to the Sun's location. My Son and I used Gimp to create an even gradient for the sky colour in a large panorama. Up to six buttons on a window, vertical (i.e. unreadable) tabs left and right (literally), overcrowded toolbars on every side of the windows, abusive number of toolbars, bad font choices, wrong padding everywhere… Is there no one at KDE who's actually gone through Design 101 before starting to put widgets inside windows? 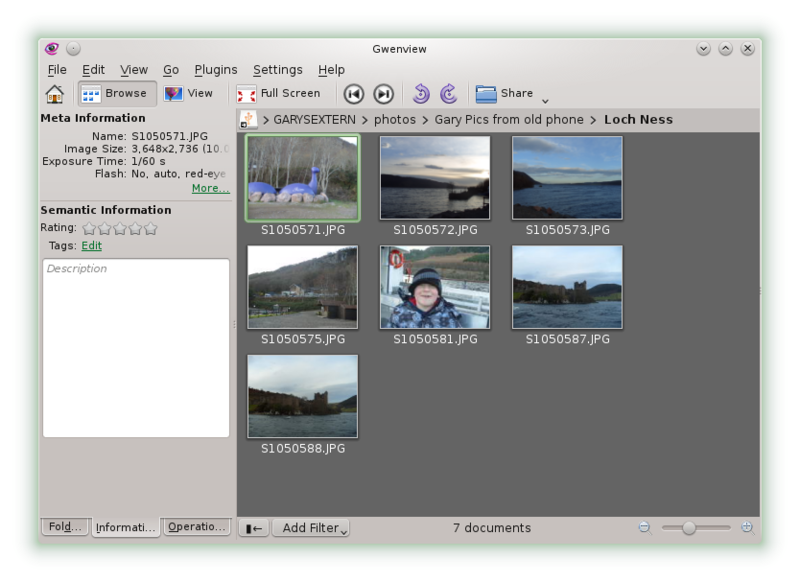 Gary, I believe DNG converter is only used to convert from images stored as RAW from your camera. It is not used to convert from for instance tiff to jpg. So if you try to select images it will only select RAW format images to add to the list to be converted. This was not obvious though and took a little googleing. 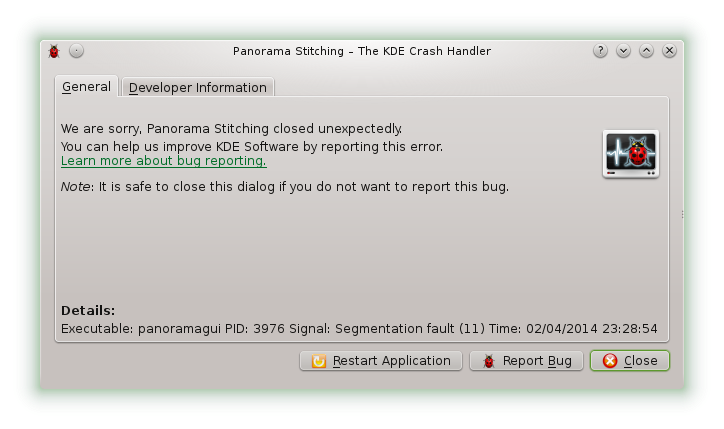 I have used both digikam and gwenview quite a lot over the years with many versions of opensuse and have found them to be very stable and rarely if ever crash so I am not sure why that is happening on your system but it is not the norm. I have used the opensuse distribution for about 10 years with all the desktop environments but I do prefer KDE and use it primarily. I like this tool! Each effect and photo filter can be carefully set up. After the addition of the effects of the rays it looks very natural. I recommend https://macphun.com/fxphotostudio as an alternative for Mac.